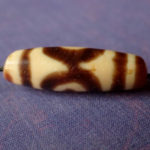 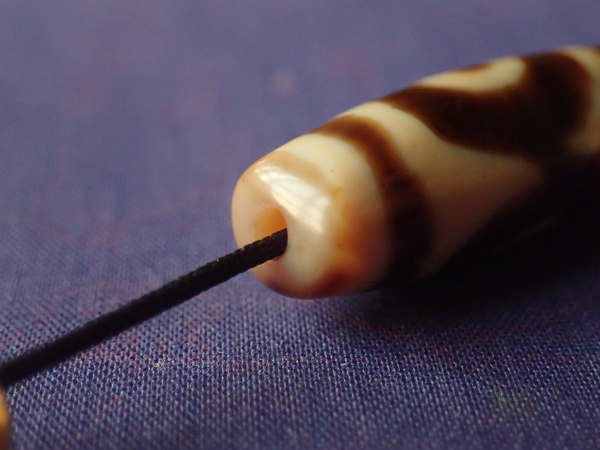 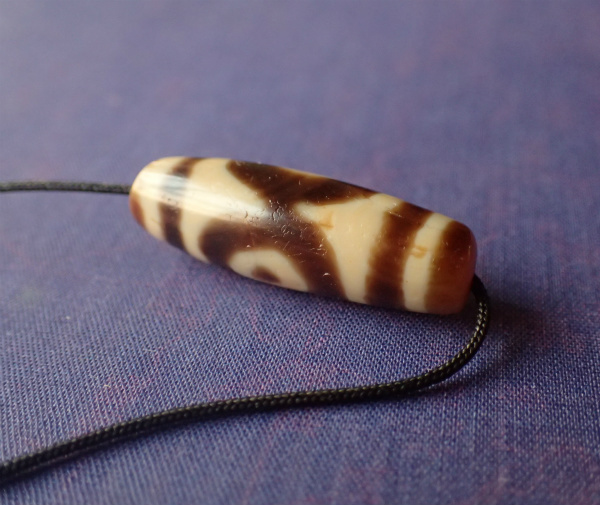 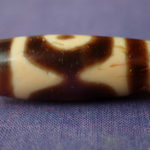 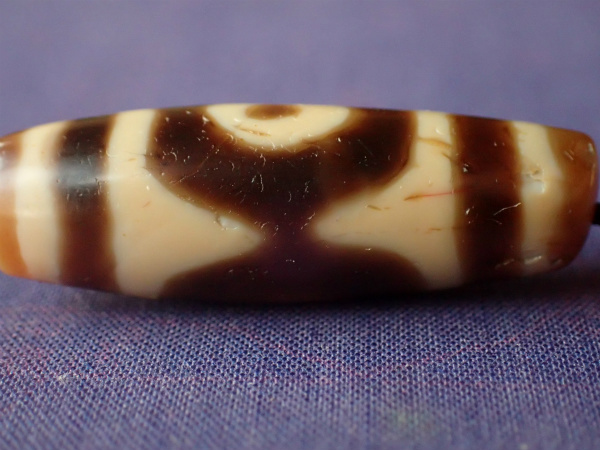 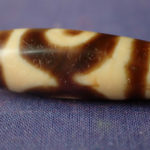 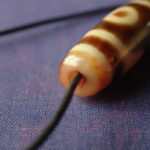 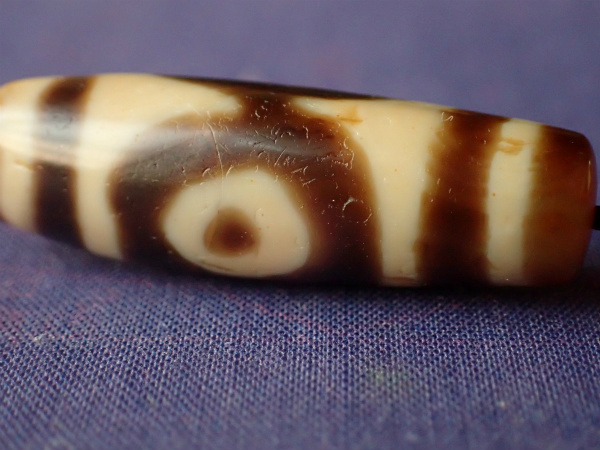 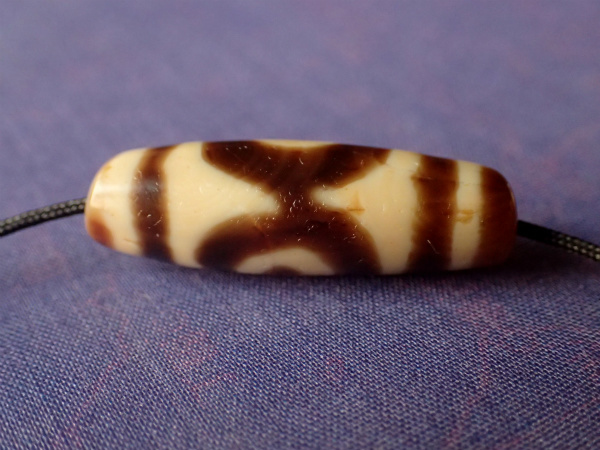 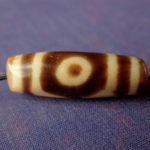 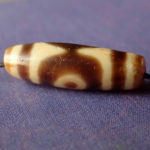 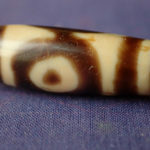 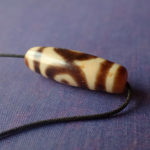 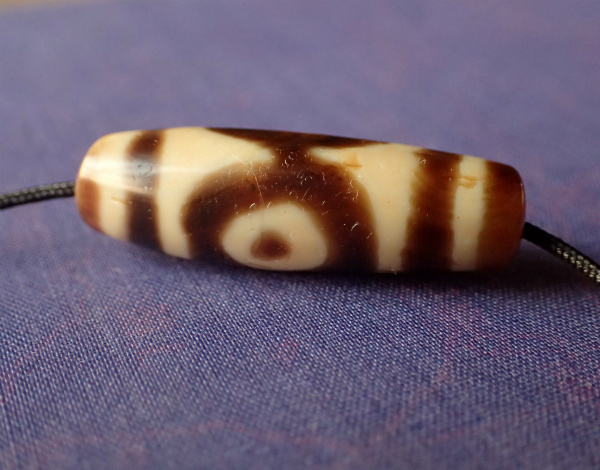 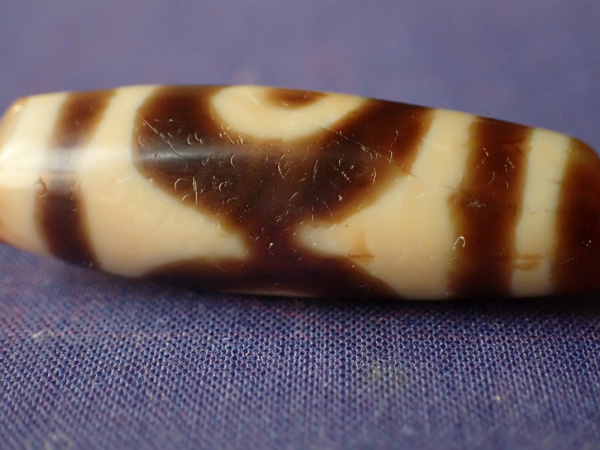 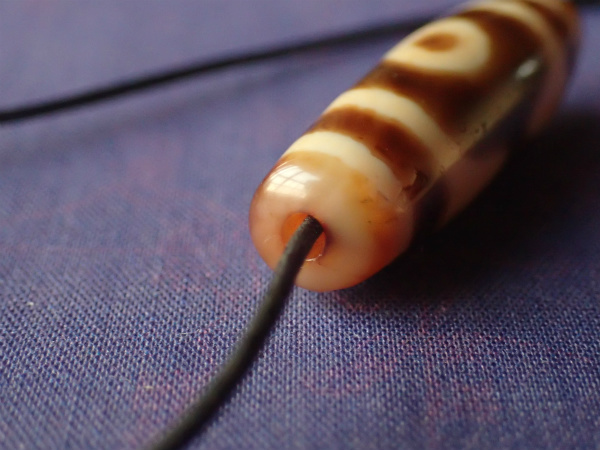 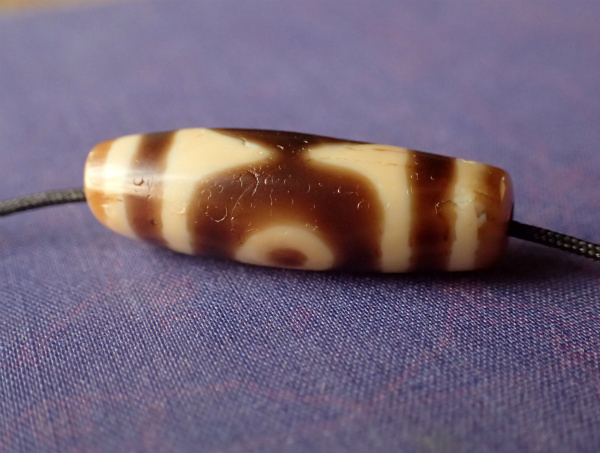 およそ2千年前のAncient Tibetan lotus 2 eye dZi. 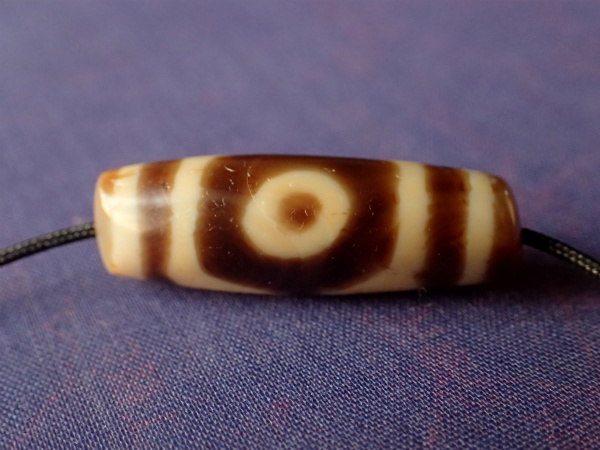 Pema Nipa, this is one of the rarer motifs of 2 eyes that is seldom found, it has a special status among the Tibetans. 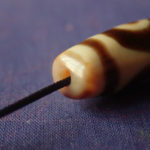 beautiful creamy brown color contrast, without any damage or repairs.